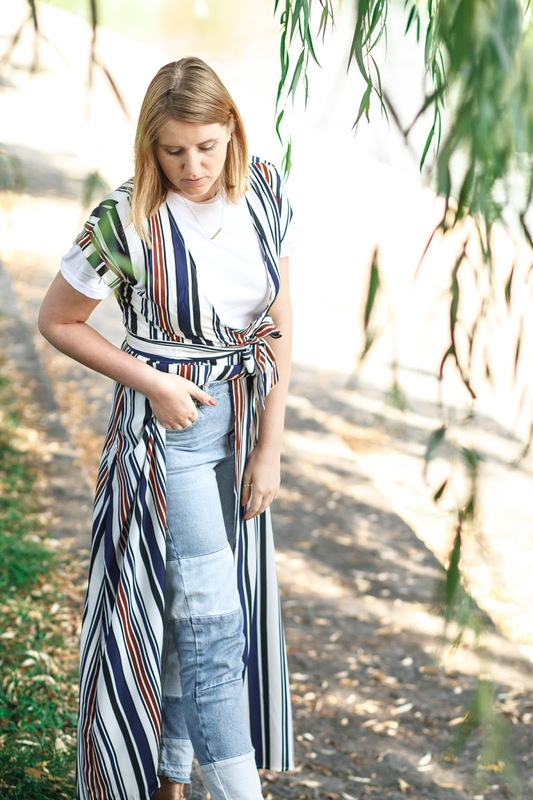 In this post, I will show you another dress from Zaful, striped maxi dress. I love the pattern and fabric but there is not enough material for the overlay that can be worn individually. I think it would be better if it would actually be a wrap dress and I could tie it the way I want it. 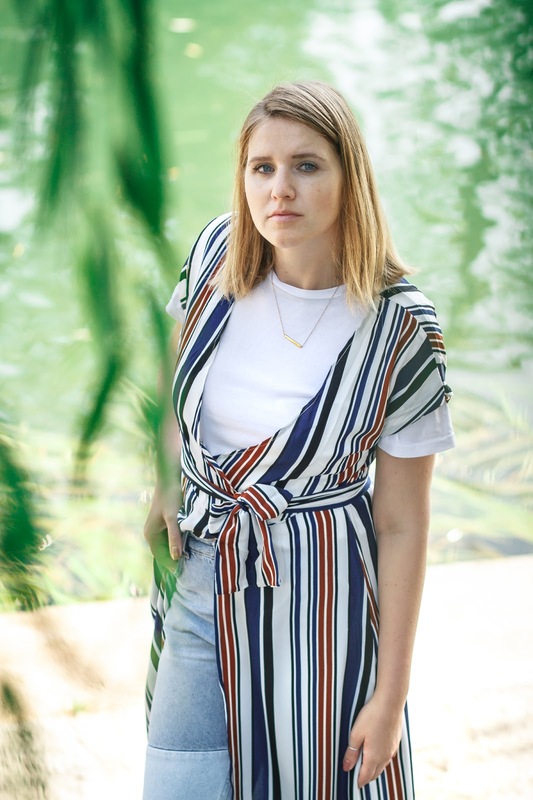 I don't recommend to buy it if you want to wear it like a dress but if layering is your game then I think it is a great addition to every outfit. 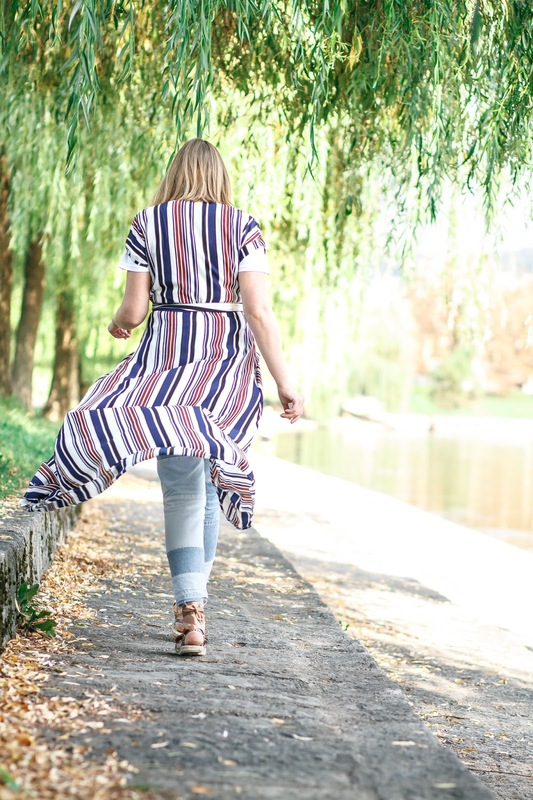 I love pretty dresses and I love layering to make different outfits every day. This is one of my favourite outfits, a dress has worn with my high waisted blue jeans and a white, oversized, man tee. These jeans are great for casual days because they have a pretty relaxed fit but still look nice enough to feel polished if needed. 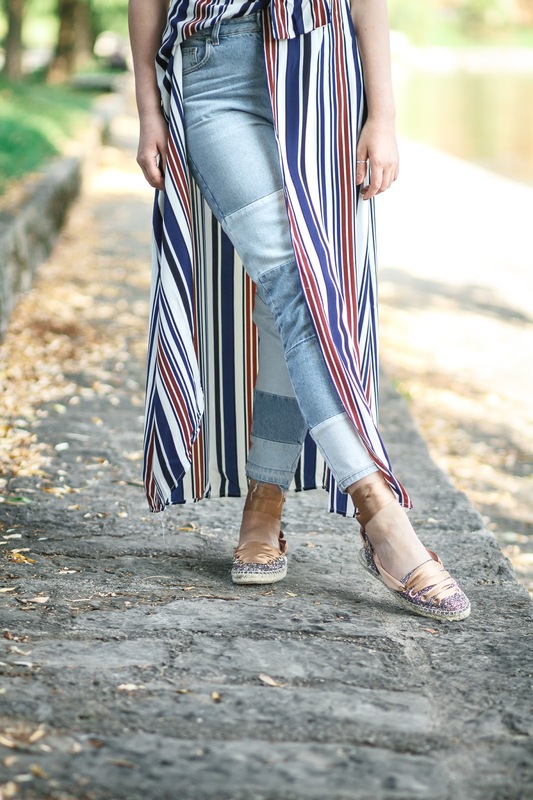 Denim is so versatile and offers the perfect opportunity to try out a variety of styles and mix-and-matching, no matter the season! 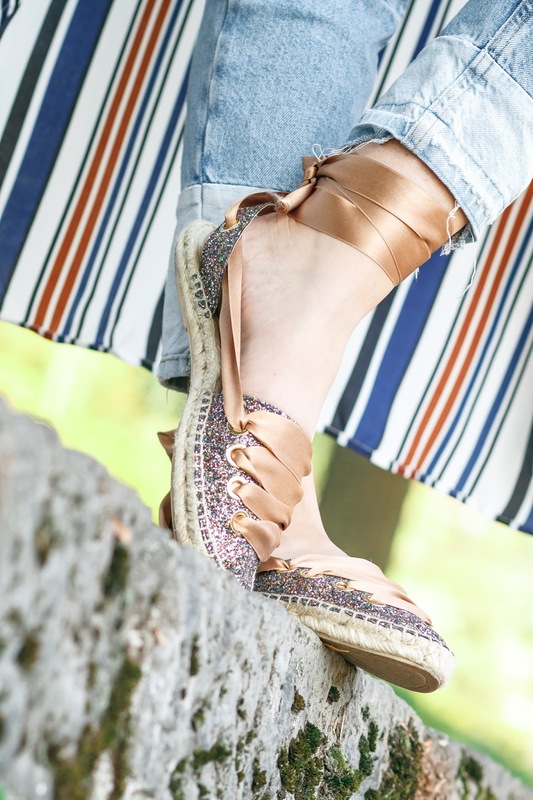 On the top of that, I wore a pair of super comfortable Steve Madden espadrille with modern ballerina touch.